All-inclusive resorts are a nice way of packaging your entire vacation. Most all-inclusive resorts offer an array of delicious food, beverages, entertainment, activities, excursions, shopping, spa options, and more. Not to mention, most all-inclusive resorts are known for their beautiful scenery, attentive service, and atmosphere to amplify your experience, whether for relaxation, adventure, romance or a blend of each element. Choosing an all-inclusive resort can be quick and easy. But choosing the RIGHT all-inclusive resort for you and your party can be a bit trickier. Here are some tips to ensure you get the getaway that you deserve. Families with children tend not to travel far as the cost can creep up quickly. However, all-inclusive resorts want your business and some offer free admission for children. Although you will need to pay for the airfare, resorts that offer free admission for children also likely offer child-minding services, kids clubs, activities and entertainment for youth, and baby packages so you won’t need to pack the stroller, playpen, diapers, bottles…and the list goes on. Although it is best to book early (see Tip #2), it can also be beneficial to book a trip last minute. This option is recommended for flexible travelers who do not have intentions or expectations of the trip but are just looking to get away from the daily grind. It’s usually a good idea to book a getaway early to ensure you get the experience you want, when you want it. On top of that, all-inclusive resorts will reward you for booking your getaway early. They want to know that their resort will be alive with activity, so they offer substantial discounts (up to thousands of dollars) for early bookings. You will also have a wider selection of resorts and experiences. It’s a win-win situation. All too often, travelers are excited when they stumble across a “deal” too good to be true, and sometimes that is the case. Before booking an “all-inclusive” trip, make sure to read the fine print on the exclusions. The amount that you pay up front doesn’t always include certain or all meals, beverages, Internet access, airport transportation fees, and activities or excursions. When booking your trip with your travel consultant (I’m always happy to help! ), review the entire trip thoroughly to find out exactly what’s included in your package. It can pay off to spend more on a trip, to save money and frustration on potentially costly items and services. Shoulder season (April to mid-June and September through October) and off season (November through March, except Christmas and the surrounding holidays) typically offer better rates as demand is low. These seasons have lower demand as kids are in school, there are fewer statutory holidays, and the weather is cooler with a higher chance of rain or storms. Warm-weather destinations, like the Caribbean, are typically more affordable before all of the snowbirds head south shortly after Christmas. If you are traveling with school-aged children, you are likely tempted to travel during school holidays. Since most people with school-aged children have that same mentality, that drives the timing into high demand and boosts the rates. The best option is to travel during November break, if your children are fortunate to have one; it is a great time to travel in an off season, the weather is usually quite warm, and since not all schools offer this break or have it at a different time, the demand is lower. Typically, suppliers offer a discount for groups that have 10 or more travelers. This is beneficial for wedding parties, large family getaways, bachelor and bachelorette parties, and any other grouping you can imagine. This can benefit the whole group with discounted airfare and all-inclusive packages, accommodation for the whole group in a block or section of the resort, special excursions, airport transportation, and welcome packages. If your party is fewer than 10 people, it doesn’t hurt to ask if a special rate applies. Most all-inclusive resorts offer a package deal combining the resort rate and airfare into price. However, this may not be the most affordable option or fit with your schedule. Discuss your options with your travel concierge; they are well-equipped to price compare package deals and separate airfare. 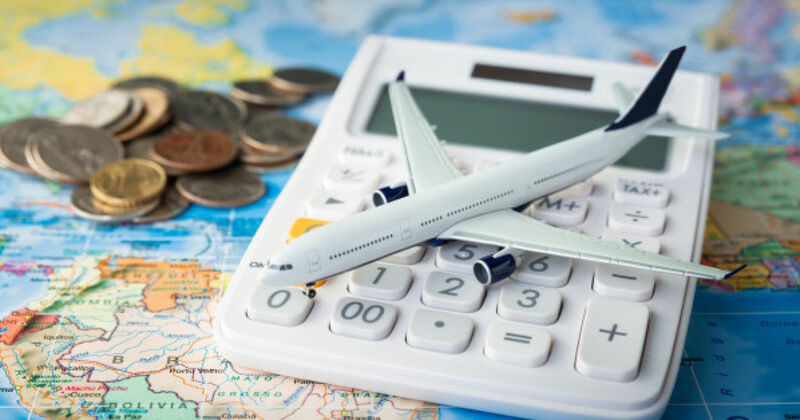 The separate airfare may be more affordable, and travel times or flight connections may be more convenient for your group. They can help you choose the RIGHT all-inclusive getaway for you and your group, whether you’re looking for a family-friendly resort or a romantic getaway. They are well-versed in all the advantages and disadvantages of the many resorts to choose from. They can guide you through all the tips listed above and more! Best of all, they are your first and only contact if any situation arises. You won’t need to wait on hold for hours with a supplier if your experience is not as expected. Your concierge is available around the clock to ensure you are enjoying your getaway.